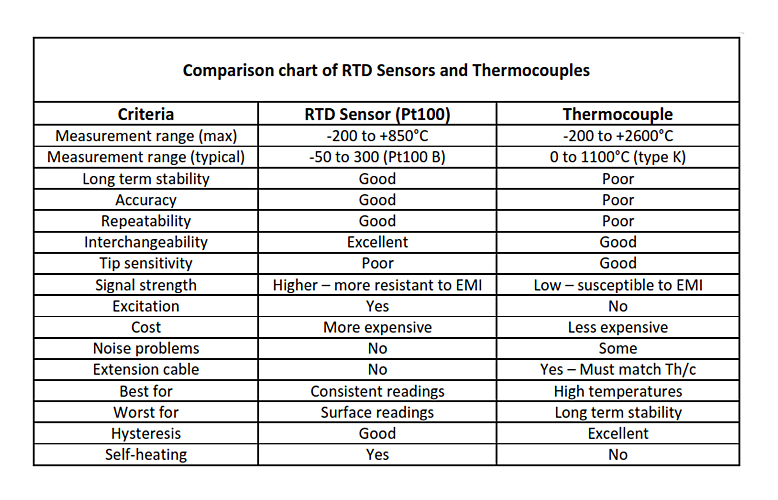 RTD vs Thermocouple (Pt100 vs Thermocouple) - How do I choose the right RTD sensor (Pt100 or Pt1000) or thermocouple? 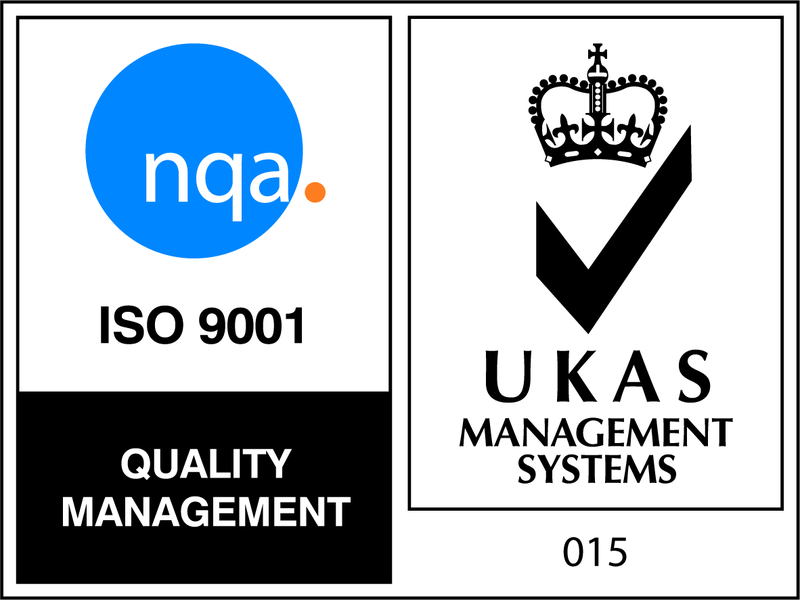 Practical advice to help you choose the right product for your application. When you have a temperature measurement application, one of the main issues is selecting the appropriate temperature sensor to fit the purpose. Sometimes it is simply a question of replacing the temperature sensor you have and you need to know whether you have a thermocouple or RTD. The easiest way to do this is to check the colours of the lead wire. Normally RTD wires in the UK and Europe are red and white and more often than not there are 3 wires. Thermocouples have two wires with negative leg being white and the positive leg being many different colours, such as; green for type K and brown for type T thermocouples. Why use an RTD Sensor? The main benefits of an RTD sensor (Pt100, Pt1000) is the good accuracy over a fairly wide range and combined with excellent stability, this is in contrast to a thermocouple which is less accurate, less stable and can drift over time. RTD Sensors are more suitable for lower temperature ranges, where higher accuracy and repeatability is needed. They also need to be immersed in the media due to stem conduction errors. A practical benefit of RTDs over thermocouples is that they use standard electrical wiring, where thermocouples require compensated alloys and connectors over the entire length up to the connection of the instrument. Most modern measuring instrumentation will have all the standard thermocouple input types such as Pt100 or Pt1000 for RTDs and K,T,J, N or R & S for thermocouple, although distance and positioning are more important when selecting a product. We also have a 'how to' guide for thermocouples and RTD sensors. These guides give you a simple 7 step process to selecting a thermocouple or RTD sensor for your application. In addition, we have over 100 types of RTD sensors and thermocouple probes available to browse across our website to help you select a product. For more information on Thermocouples vs RTDs click here to visit The International Society of Automation's website (You will leave www.sterlingsensors.co.uk if you visit this link). Still unsure of what you need? Give us a call or email us at technical@sterlingsensors.co.uk and our friendly sales team will guide you every step of the way.